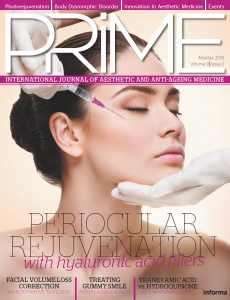 Aesthetic device manufacturer BTL Aesthetics has unveiled its latest innovation as it adds yet another new product to its expansive treatment portfolio. According to BTL Aesthetics, the BTL Unison offers a unique, combined treatment for superior cellulite reduction. It works by using monopolar radio frequency and shock wave therapy to address all five causes of cellulite, helping increase blood supply, resulting in better lymphatic drainage and improved elimination of fat cells. Dr Rita Rakus is the first doctor in the UK using the device and said, “Cellulite has always been a body hang up for many women, despite their weight, but it can be one of the trickiest issues to solve! “There are many of our patients that have tried so many things to get rid of it, yet nothing has worked. It is generally believed that cellulite is due to having excess fat on the body and something which can be addressed through diet and exercise alone. “Sadly, this is not the case and there are many other factors outside of your control, which is why I’m thrilled to be able to offer my patients the new BTL Unison treatment! The BTL Unison works by increasing the production of collagen and reducing the amount of fatty deposits in the area which in turn increases the skin’s elasticity and relaxes the fibrous structures which create the dimpling effect in the skin. The shock wave therapy applied to the area then increases micro-circulation of the blood and removes the static lymph fluid. This combined therapy is scientifically proven to eradicate cellulite from the affected area. Managing Director for BTL Aesthetics, Lee Boulderstone commented: “We are absolutely delighted to be showcasing the latest advancements in this industry leading technology, and the BTL UK team is very much looking forward to the launch of Unison.